Apple’s product launch sends people into a frenzy, so this week’s podcast breaks down all things Apple. 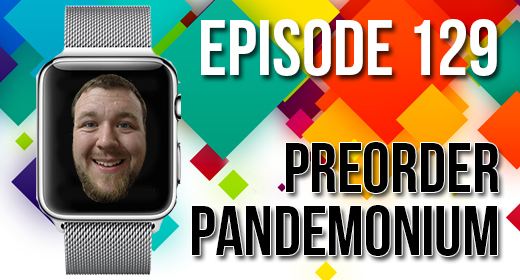 Marty and Josh discuss Apple’s biggest event of the year this week, and talk about the iPhone 6 and iPhone 6 Plus, which one they’re going to be, and why you should buy in. For the break this week we travel all the way back to Episode 46 of the podcast for a small Blast From The Past! break. After the break, the conversation shifts to the Apple Watch: can you guess who isn’t planning on buying one? Don’t miss Marty’s incredibly small Game of the Week as well! As always, don’t miss That’s My Jam! and Apps of the Week! Marty Estes liked this on Facebook. Erin Hathcock liked this on Facebook. @warmachinehorse @JustUsGeeks So funny! #geeklove forever!! como hÃ£o de cumprir se ficaram sem territorio, ora bolasbem ja vi o que tinha a ver a culpa, bem a culkpa e´dos arabesO que pensa do massacre dos judeus pelas tropas nazis?- Esmaguem esses estupidos nazis.E o que pensa da ocupaÃ§Ã£o expulsÃ£o massacre dos palestrinos pelos is?salitear- Desculpe eu nÃ£o posso dizer nada, tenho receio de ser chamado antisemita antisionista e amigo do hamas. Wii shall call it….Mini Wii!